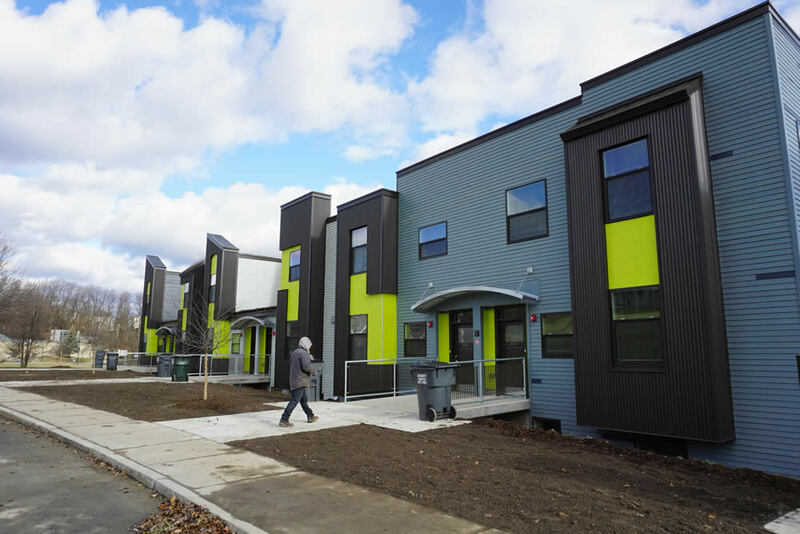 Construction on the first phase of the redevelopment of the Ida Yarbrough Homes in Arbor Hill is finished, the Albany Housing Authority formally announced this week. 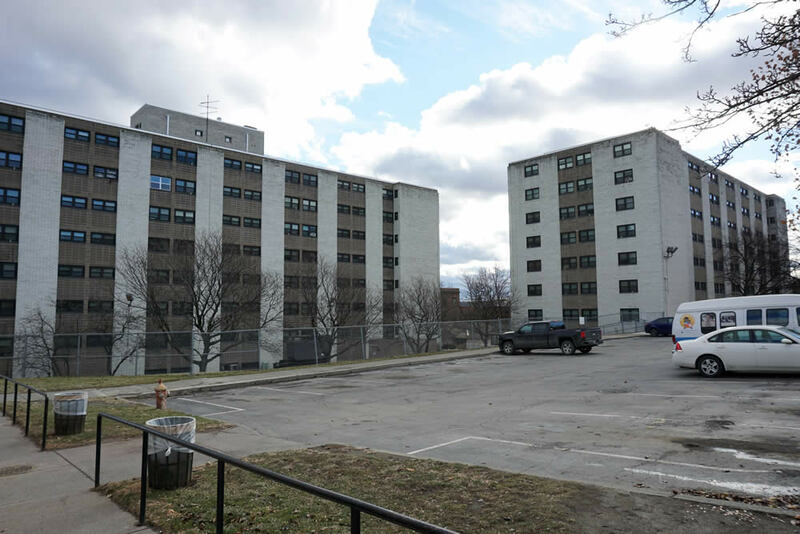 The redevelopment project will ultimately include 137 newly-built units, and it's part of a plan to create mixed-income housing near downtown Albany. There are a handful of photos at the top in large format -- click or scroll all way up. 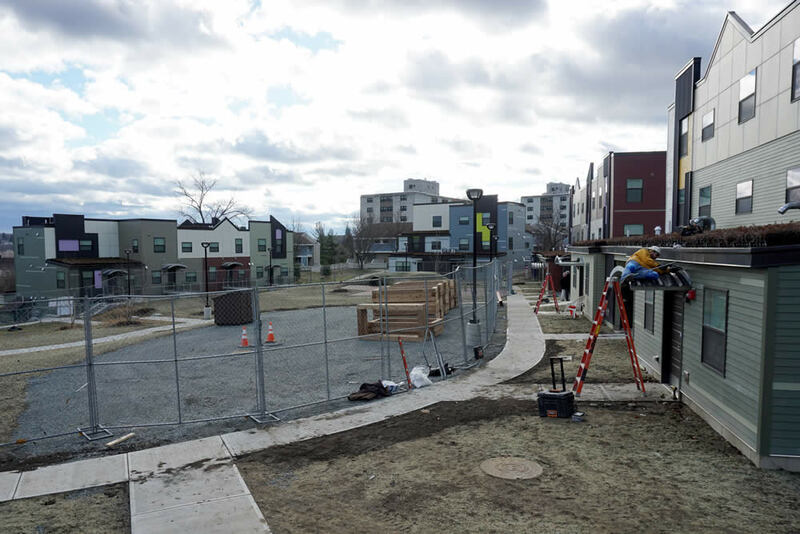 Phase 1 of the Ida Yarbrough redevelopment consists of 61 new town homes and apartments to replace low-rise housing that dated back to the 1970s. 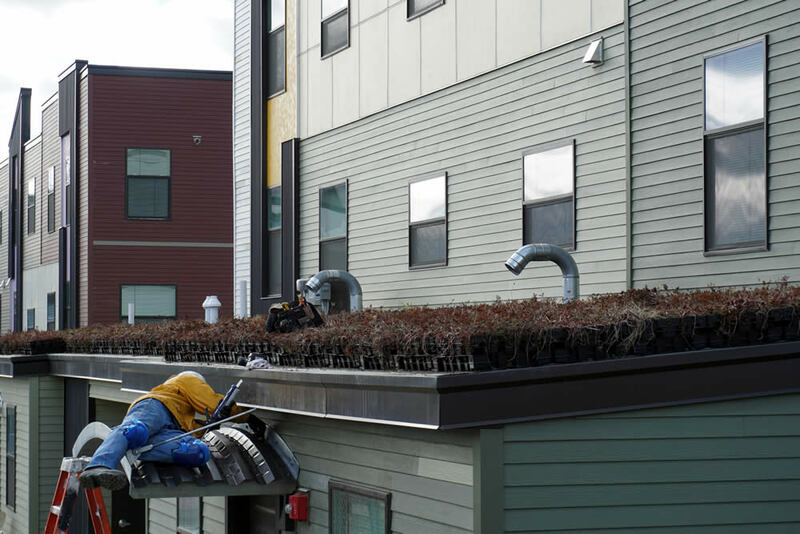 Maybe you've noticed them -- their exteriors are unusually modern for Albany, and they have green roofs with vegetation to act as insulation and help control stormwater runoff. The site also includes space for a playground and a community garden planned for next year. William Tibbs, a resident one of the Phase 1 units, was at a small event for the new development on Wednesday. He'd been living in one of the Ida Yarbrough high-rise buildings, but he's on oxygen which made living on an upper floor tough. He's now in a garden apartment. "It's a lot different from the high-rise," he said, mentioning how much quieter his new apartment is. "That tranquility is something, it's quality time. You don't hear all that noise, there are no distractions." 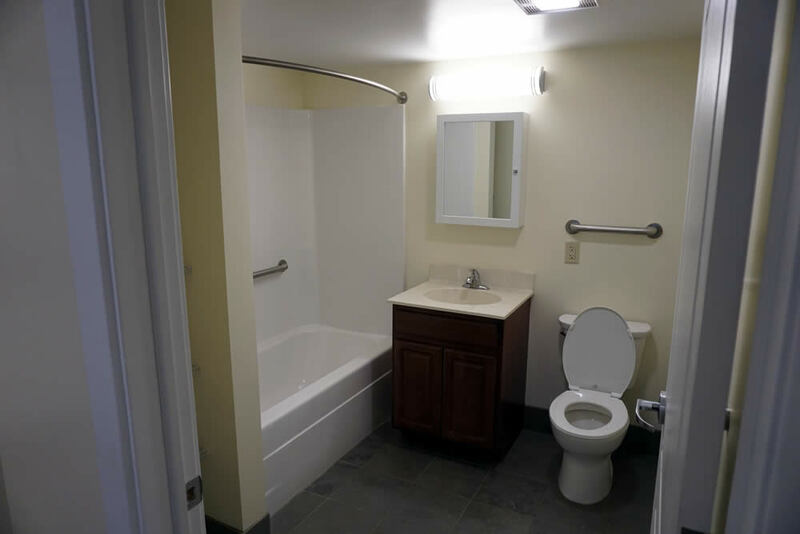 One of his new neighbors, Carol Swainson, added the she likes the way the layouts of the new apartments are varied, as well as the design details like how the washers and dryers are hidden away. And she said she's looking forward to the community garden. "I would love to teach my boys how to garden." 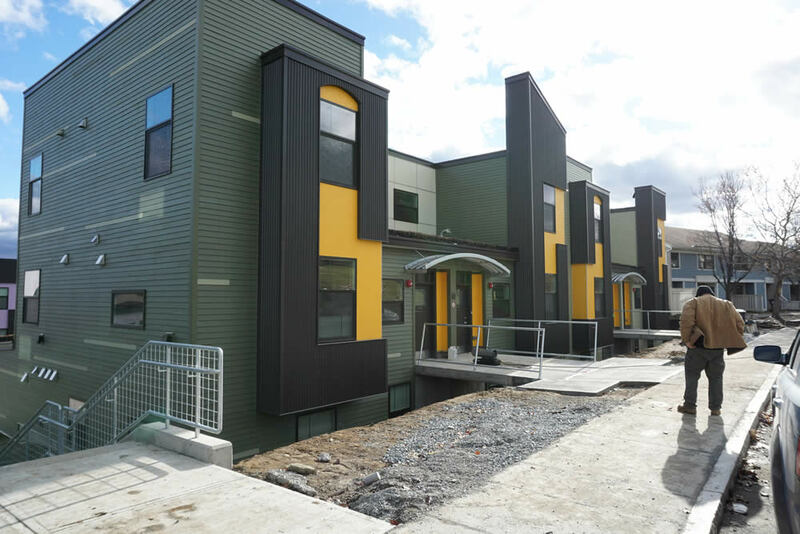 The Phase 1 housing is available to households with incomes below 50 percent of the area median income (AMI) -- that's about $40k. But that's not a hard cap. So, if a family qualifies for the 50-percent income threshold and moves in, they don't have to move out if their income rises. Past that point they just pay the equivalent of 30 percent of their income as rent (including utilities). Steven Longo, the executive director of the housing authority, explained Wednesday that this arrangement does a few things. First and foremost, it doesn't force people to move just because they've managed to move up a rung or two on the income ladder. But it also helps promote economic diversity and mentoring among people in the neighborhood. A rendering of the proposed phase 2. 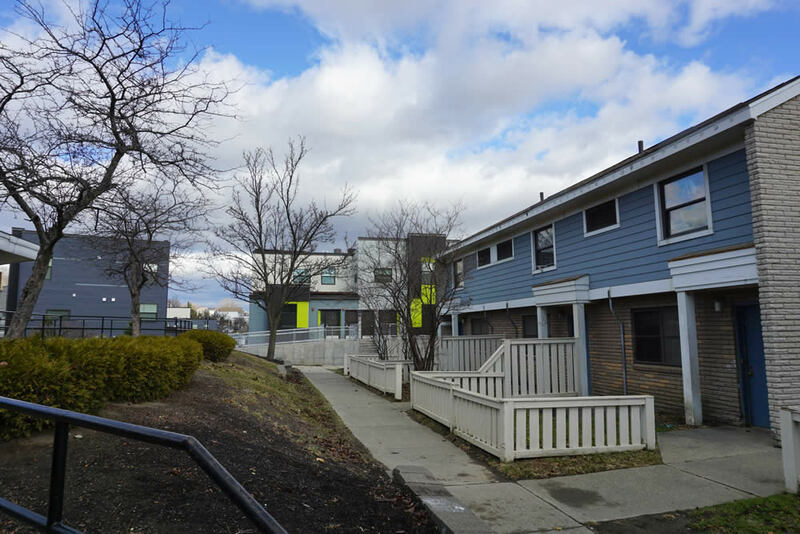 That goal of creating a mixed-income community is a big part of Phase 2. It includes 76 units in two mid-rise buildings. And notably, 45 of those units will be available -- from the start -- to households making more than 50 percent of the AMI, with some for households above 60 percent. Longo said the mix of federal and state funding backing the project allows incomes up to 90 percent of the AMI. 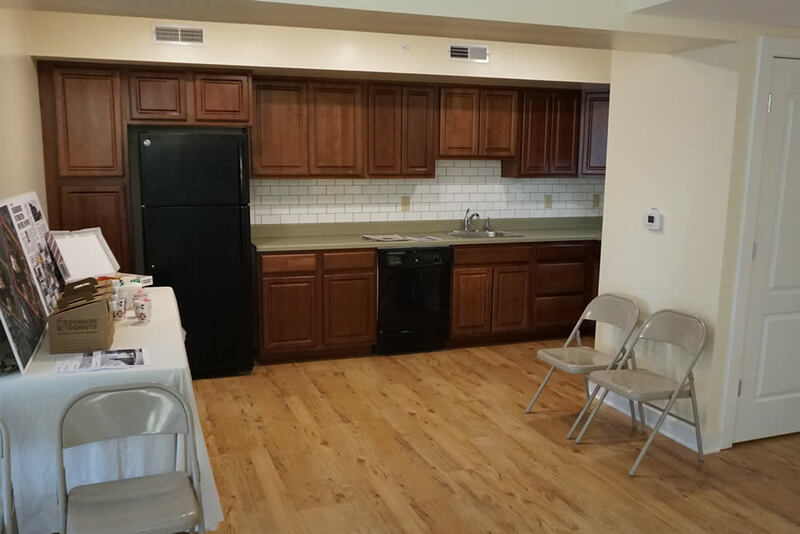 "We have been really fortunate and able to get economic diversity [in other housing developments], but it takes us five years because as we open a place, a new apartment situation, we have to pass like a litmus test for a lower income, sometimes 30 percent of the median income. But working with our various job programs and by having a stable residence, we found families incomes have risen -- and so we grow economic diversity," Longo said. "And here for the first time we're going to be able to come out the door with that and we're really excited about it." There's also a plan for a possible Phase 3 in the future that would include home ownership. There's a lot going on lately in this part of the city. 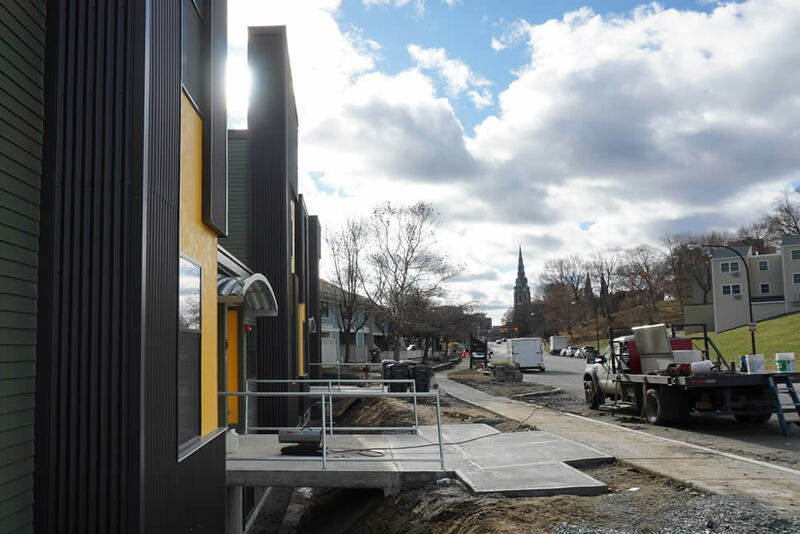 There's new market rate housing -- both renovated and new construction -- in the works nearby on Broadway. And literally right across the street from Ida Yarbrough, Capital Rep is planning to eventually set up a new theater space for itself -- a project on which Longo said AHA wants to partner on jobs programs. The goal, he said, is to continue connecting Ida Yarbrough to the wider neighborhood and the opportunities that comes along with that. "So we're working with a group of community people to try in this wonderful, beautiful corner of Arbor Hill to create a solid residential neighborhood that includes some really exciting things," he said. 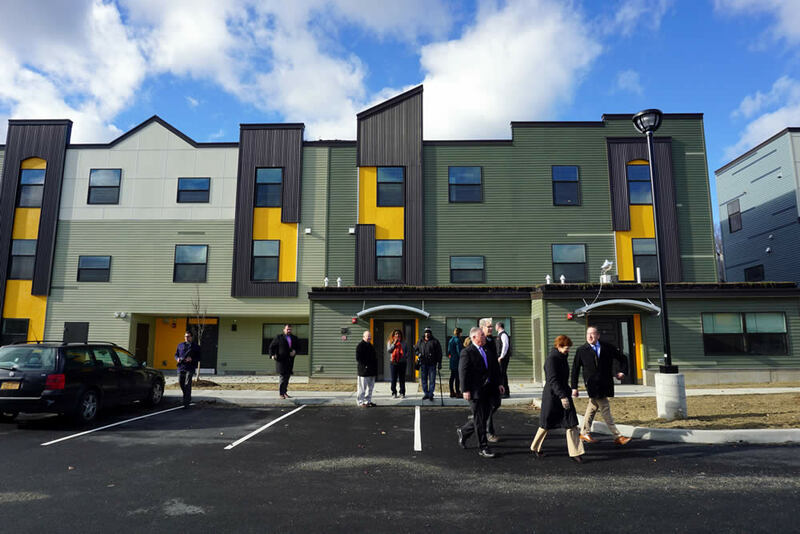 "These new apartments are people that know each other, who socialize with each other, who socialize with their neighbors, who are going to the local schools, going to the local stores, and walking and talking to each other and they're helping to create a neighborhood." Wow, very interesting. I'm happy they've made such progress. 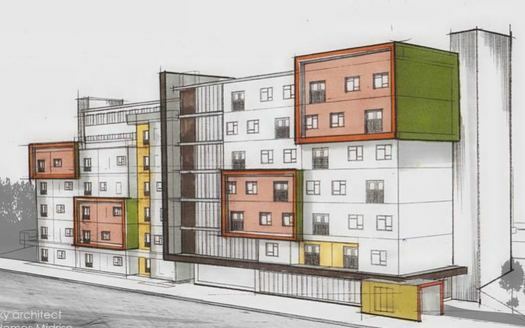 Any chance that Albany Housing Authority makes the architectural plans available for view? I'd like to poke through the design. @Sean - Site and Floor Plans are available on Albany's development portal: https://selfservice.albanyny.gov/node/125. So they are building more housing (using taxes) in the area which is known to have problems due to proximity of tax-paying business conglomerate - Port of Albany - and then will keep limiting port operations? This is all you need to know about the future of Albany. Mike, either I'm missing something or you're thinking of the Ezra Prentice homes. How is the port impacting North Albany?